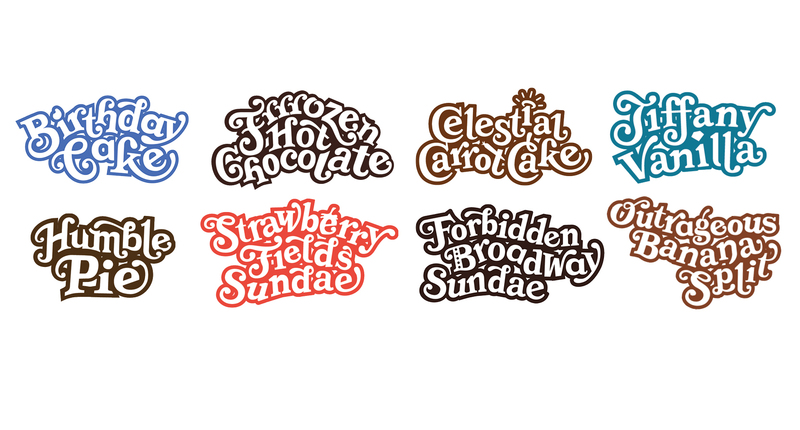 My project is lettering for Serendipity Ice Cream. 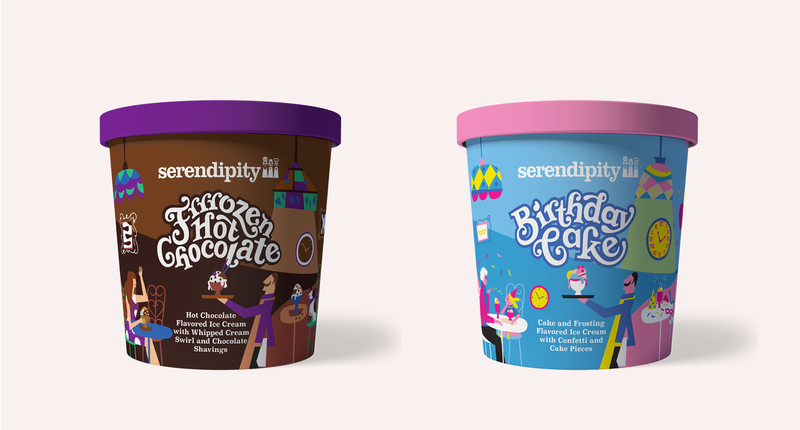 The iconic restaurant is launching a new line of ice cream with some of their classic desserts as flavors. 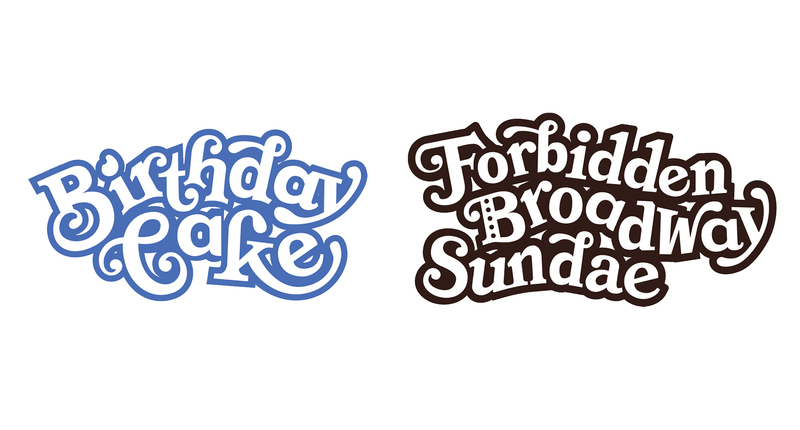 The lettering and overall design had to be as fun as the restaurant itself yet updated to live in fridges today. 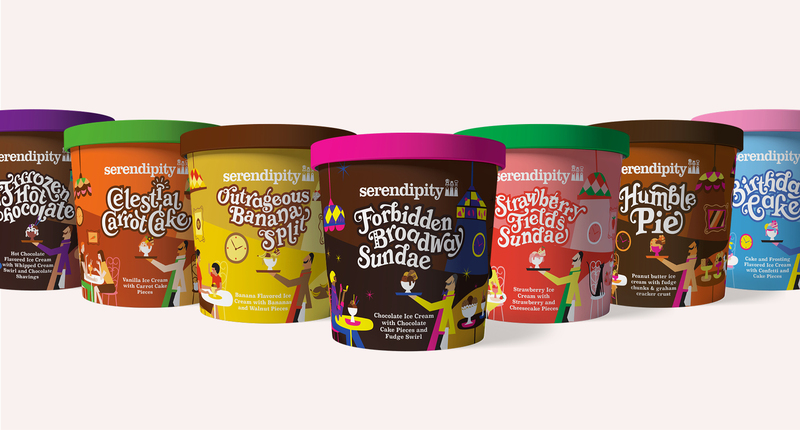 The designs involved illustration and colors that are meant to stand out and bring a bit of Serendipity home.